Frank Patrick Herbert, Jr. (October 8, 1920 – February 11, 1986) was an American science fiction writer best known for the novel Dune and its five sequels. Though he became famous for science fiction, he was also a newspaper journalist, photographer, short story writer, book reviewer, ecological consultant and lecturer. Dune is one of my favourite science fiction books, and though I have read most of the later books, the one that started it all is still the best in my opinion. The Dune saga, set in the distant future and taking place over millennia, deals with complex themes such as human survival and evolution, ecology, and the intersection of religion, politics and power. Dune itself is the best-selling science fiction novel of all time and the series is widely considered to be among the classics of the genre. Dune took six years of research and writing to complete and it was much longer than commercial science fiction of the time was supposed to run. It was then rejected by nearly twenty book publishers. Sterling E. Lanier, an editor of Chilton Book Company (known mainly for its auto-repair manuals) had read the Dune serials in Analog magazine and offered a $7,500 advance plus future royalties for the rights to publish them as a hardcover book. Dune was soon a critical success. It won the Nebula Award for Best Novel in 1965 and shared the Hugo Award in 1966 with ...And Call Me Conrad by Roger Zelazny. 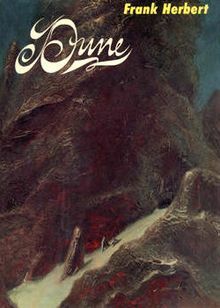 Dune was the first major ecological science fiction novel, embracing a multitude of sweeping, interrelated themes and multiple character viewpoints, a method that ran through all Herbert's mature work. Herbert wrote five sequels: Dune Messiah, Children of Dune, God Emperor of Dune, Heretics of Dune, and Chapterhouse: Dune. 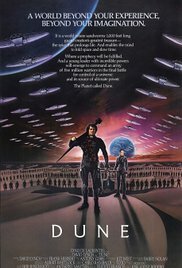 The first novel also inspired a 1984 film adaptation by David Lynch, the 2000 SyFy Channel miniseries Frank Herbert's Dune and its 2003 sequel Frank Herbert's Children of Dune (which combines the events of Dune Messiah and Children of Dune), computer games, several board games, and songs. Frank Herbert died in 1986. Beginning in 1999, his son Brian Herbert and science fiction author Kevin J. Anderson published a number of prequel novels, as well as two which complete the original Dune series—Hunters of Dune (2006) and Sandworms of Dune (2007)—partially based on Frank Herbert's notes discovered a decade after his death.